An in-depth dive into what’s new, including a very detailed look at the impressive Hash improvements. Is Rails 5 gaining ground? What database are Rails developers using? These answers and more in Scout’s annual data analysis. A walk through the process of creating a simple API with Swagger-based documentation. Peer reviews can be really useful! 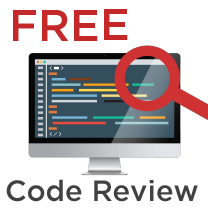 Contact us for a FREE code review and we'll send you a custom report of our recommendations for improvements. Why Is 'sum' So Much Faster Than inject(:+)? The answer goes into some depth and the way Ruby implements ‘sum’ isn’t quite as I’d expected. A look at intransitive, mono-transitive and multi-transitive associations. The first of a series comparing making a Todo list in Rails and Hanami, an alternative modern Ruby Web framework. Jim looks at making decisions about background processing without rearranging your code. If you don’t know what _ does, it’s worth knowing. A look at different ways to handle the results of shell commands, optimizing for memory. The second post (first post) in an ongoing series on Elixir from a Rubyist’s perspective. Using Apache Tika and Algolia to parse, index, and search PDF files. I’ve been doing some of this lately and found this guide to preserving sessions useful too. This ebook explains how a specialization of linear regression answers seemingly unsolvable database questions.